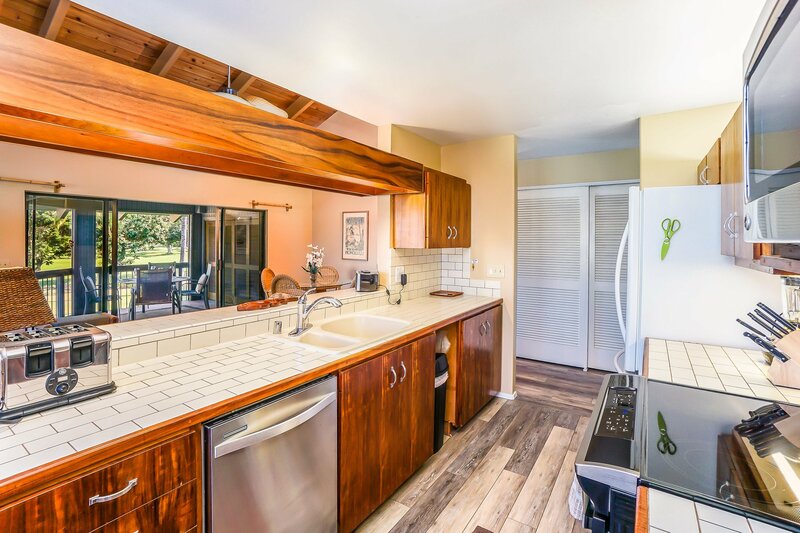 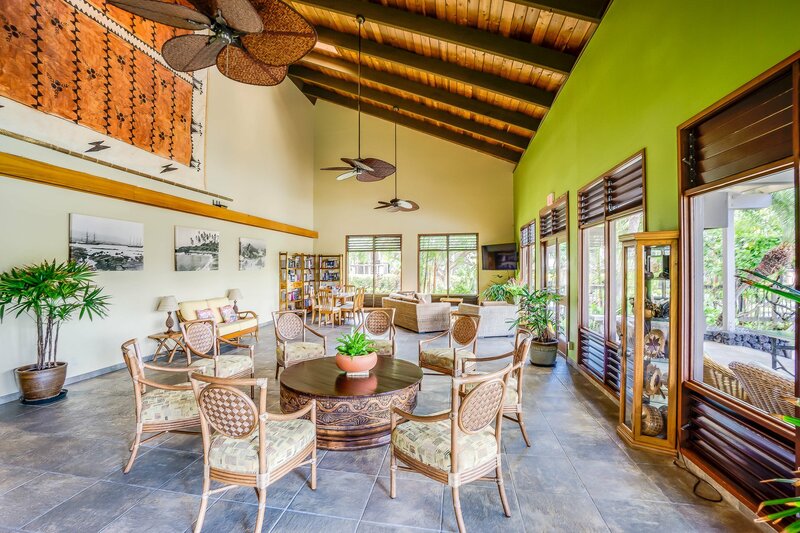 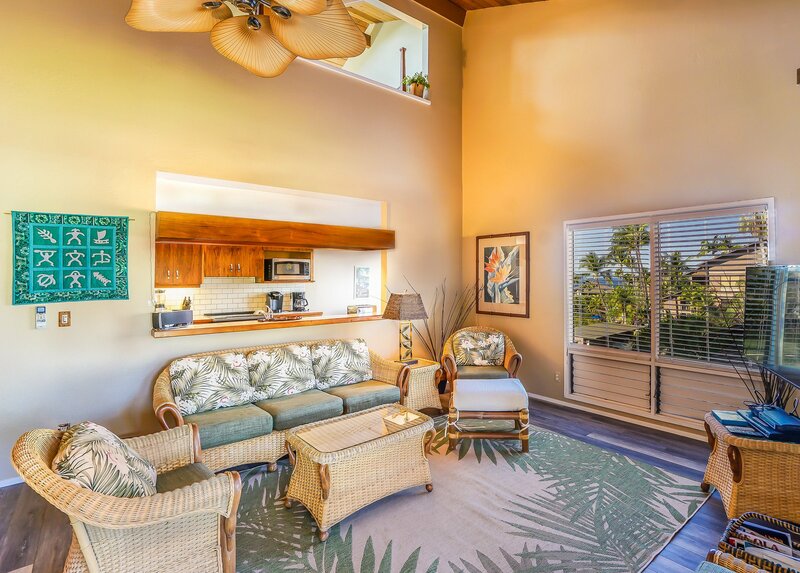 Kanaloa 405 is a Kona Coast rental available through Kona Coast Vacaitons. 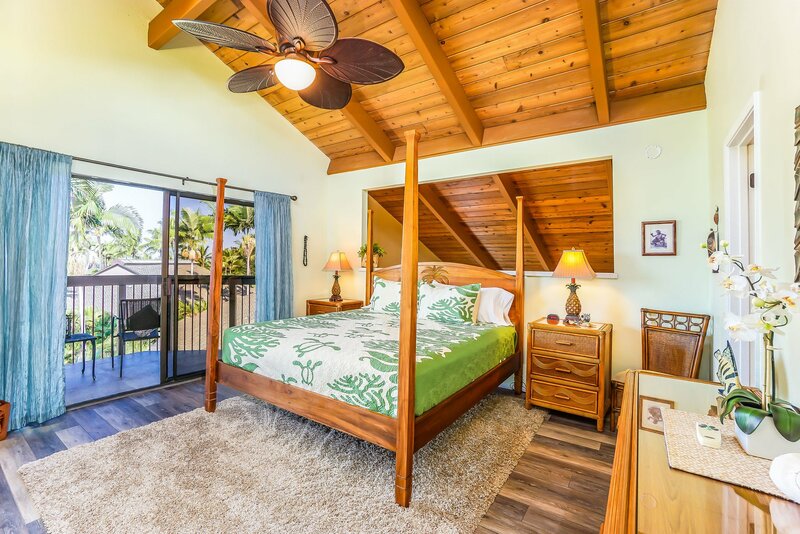 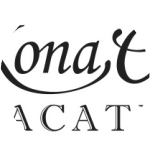 Use our website to browse this and other Kona Coast rentals. 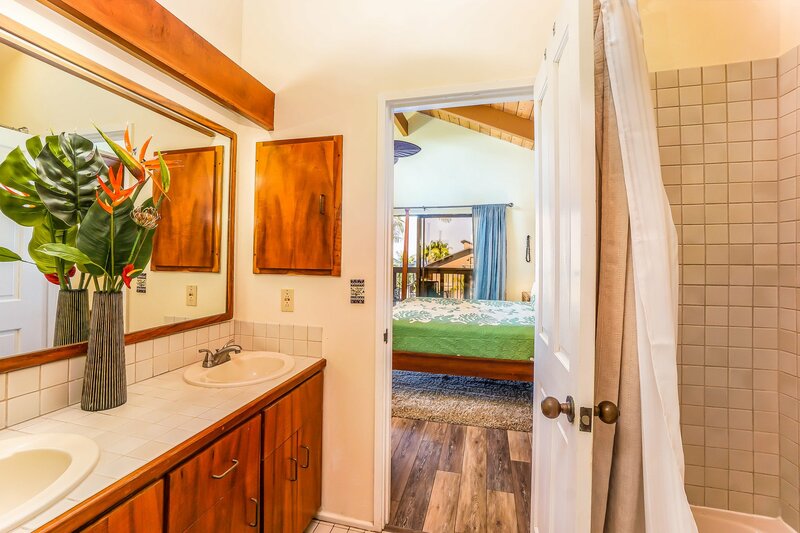 This unit has two large bedrooms with two bathrooms. 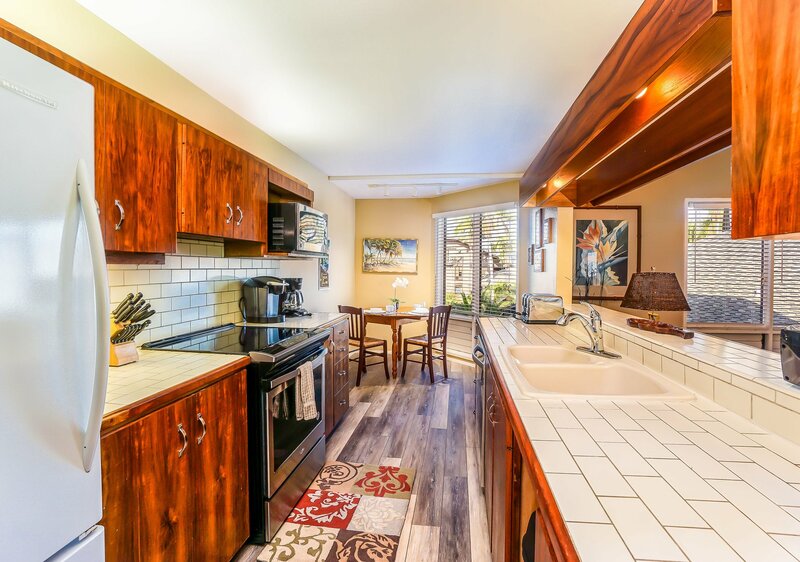 A fully equipped kitchen with everything you will need for the perfect vacation. 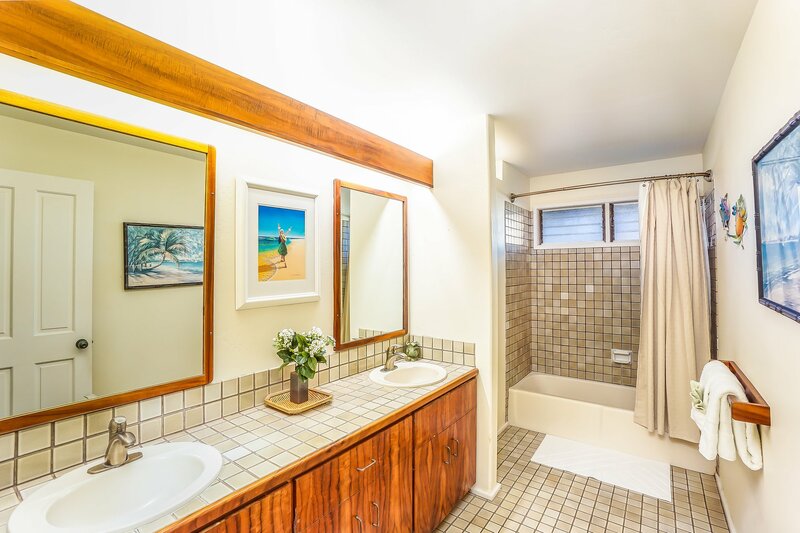 There are three private lanais. 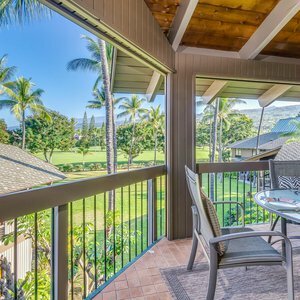 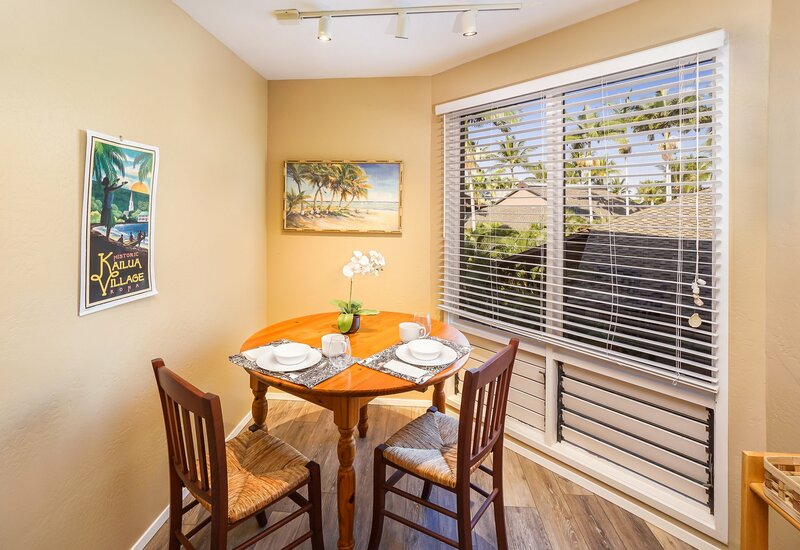 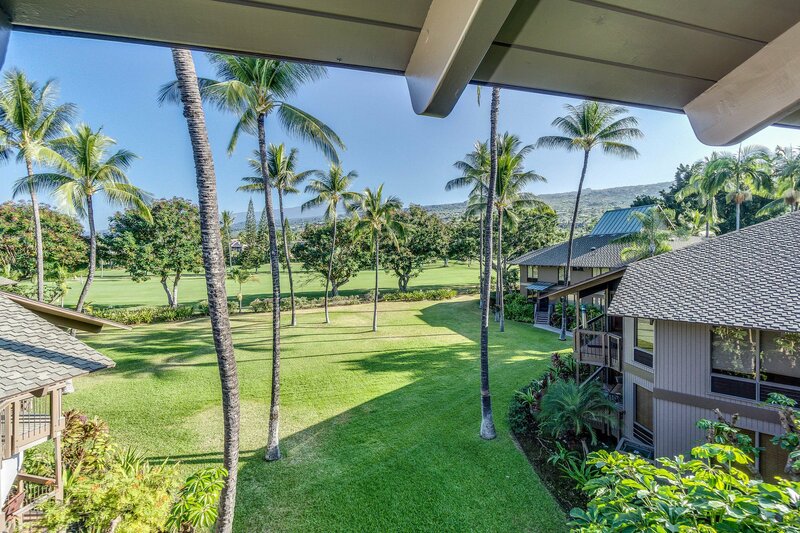 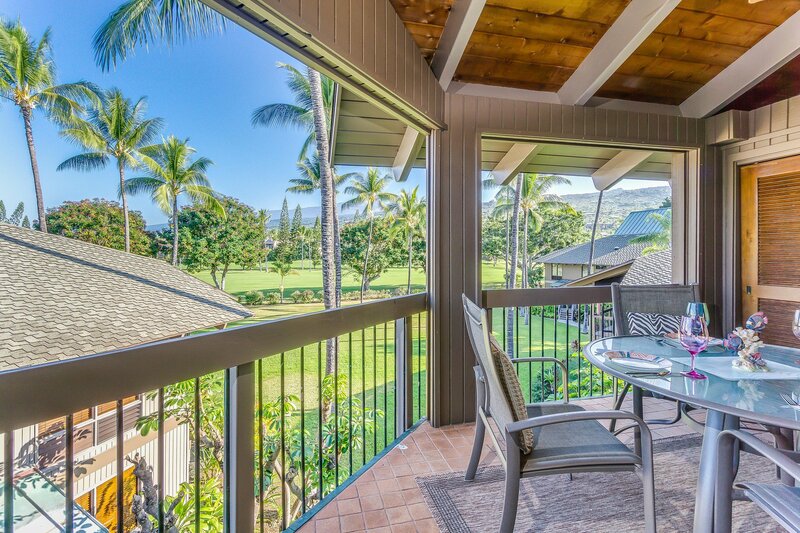 The lanai off of the spacious family room has views of the golf course. 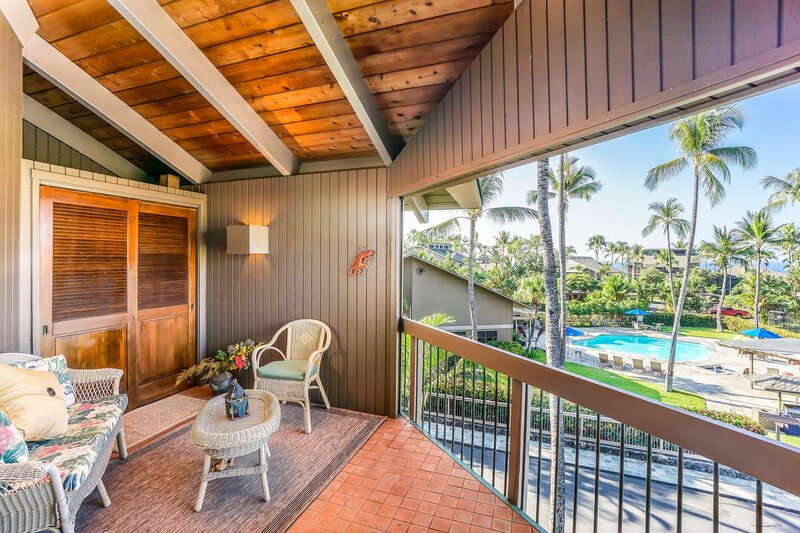 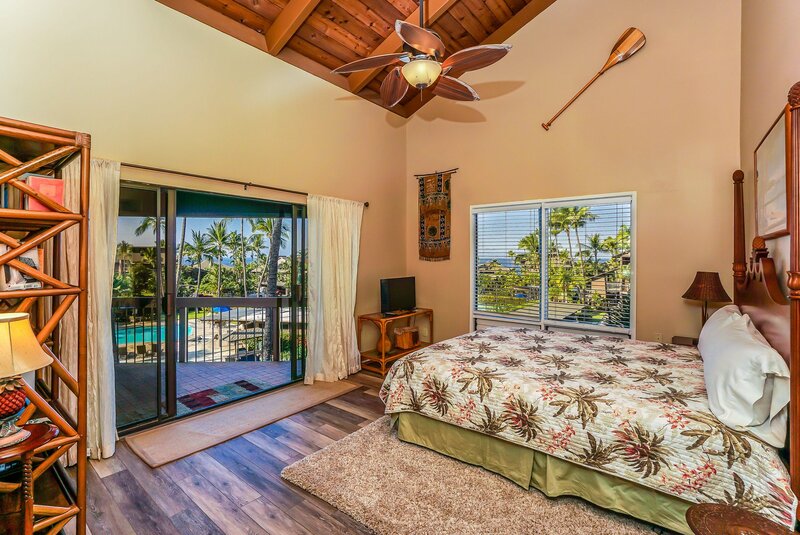 The lanai off the first bedroom has views of the ocean and swimming pool, and the Lanai off the second bedroom has gorgeous ocean views. 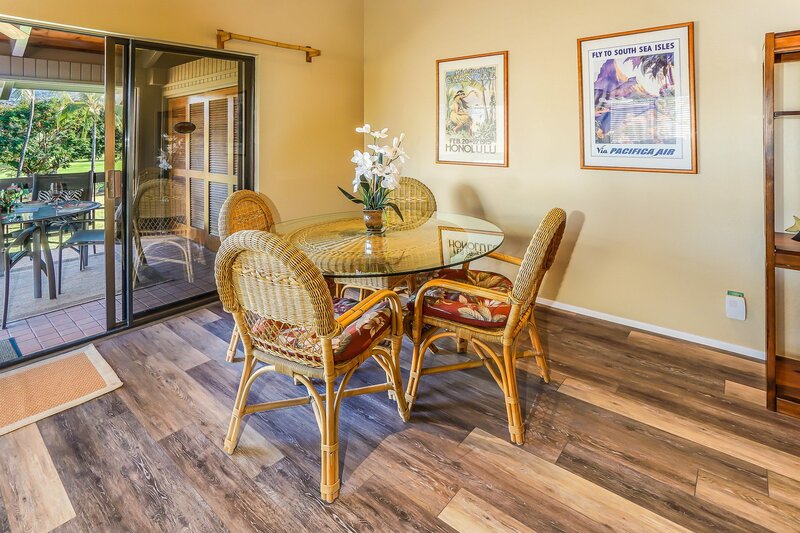 The unit includes air conditioning, cable and wifi. 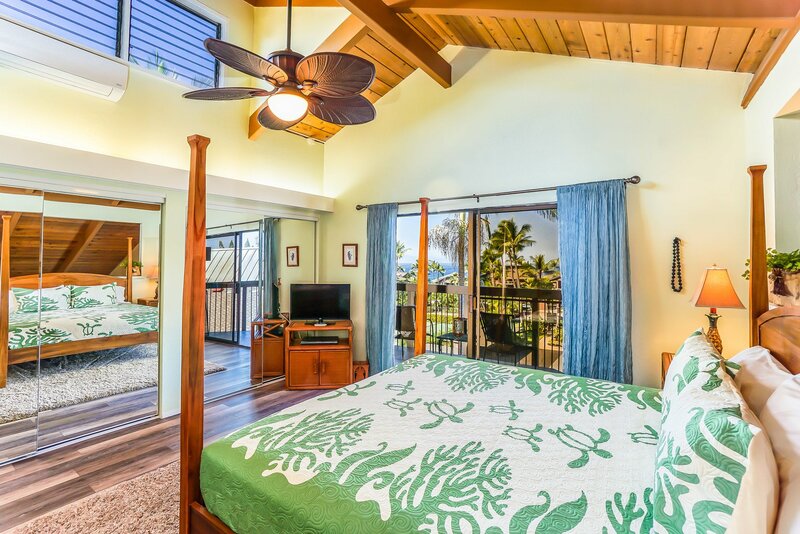 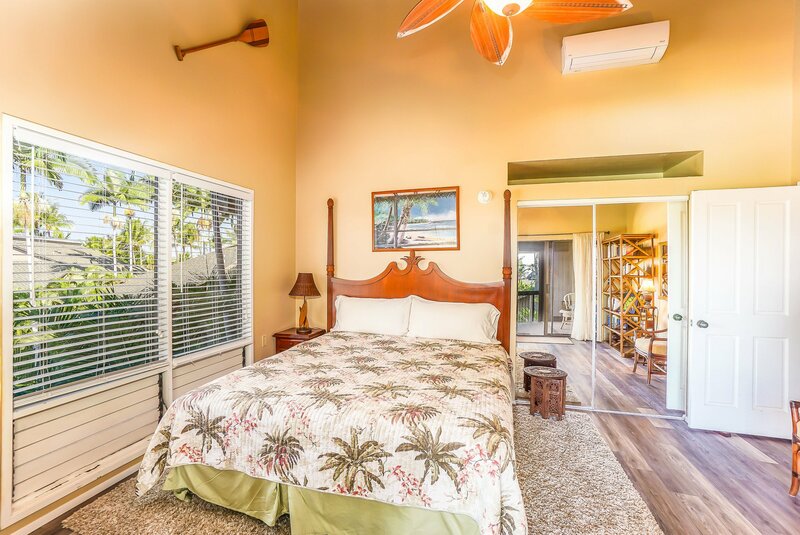 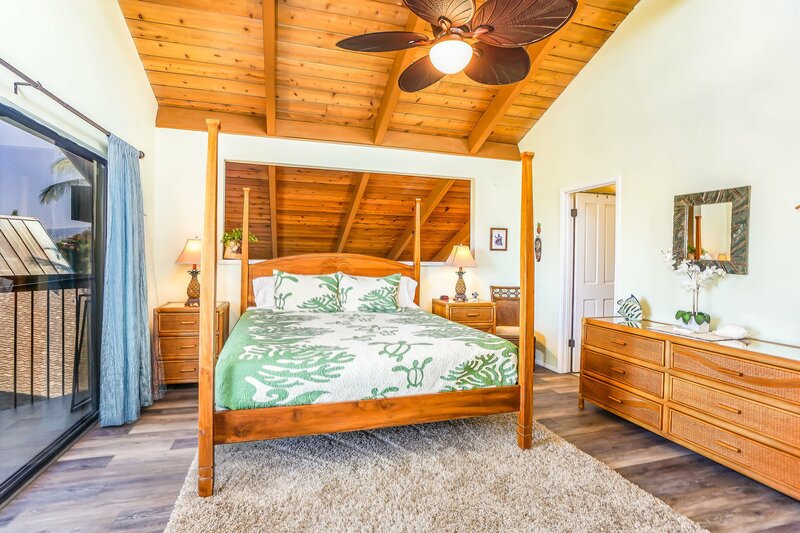 The unit is decorated with beautiful Hawaiian decor and ceiling fans throughout. 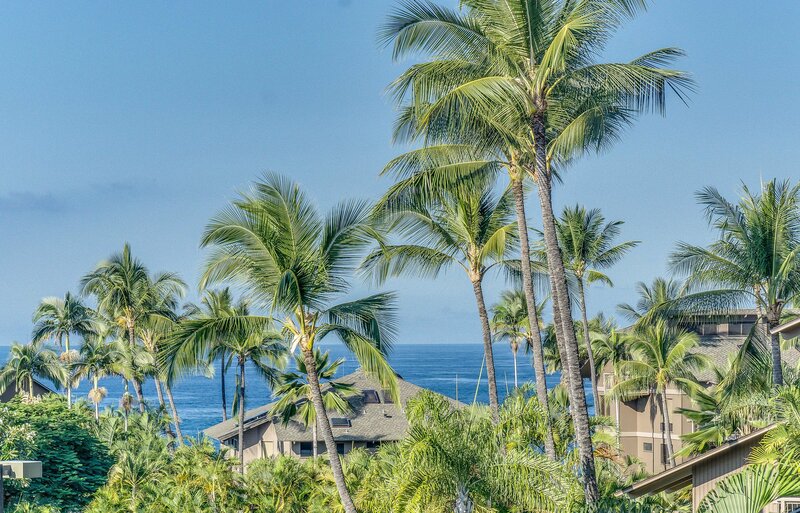 This is the perfect setting to experience all the Big Island has to offer. 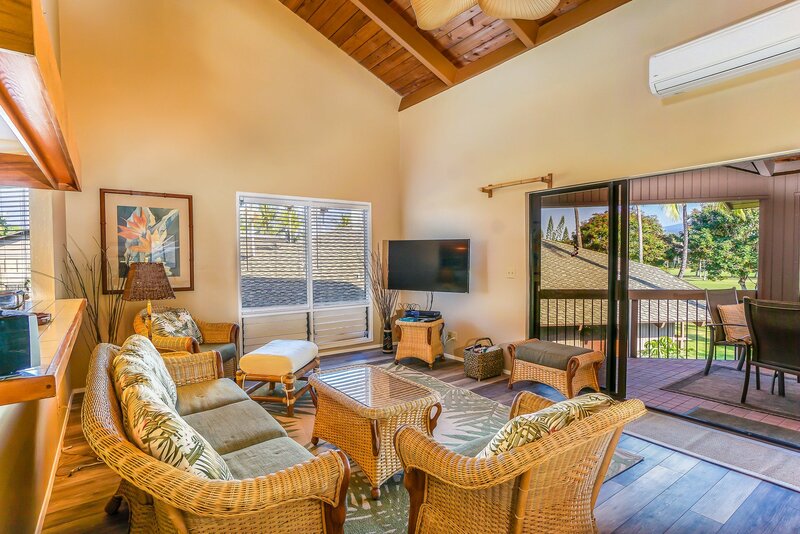 This unit is located on the second floor - so it is a second story walk up, & then there is another set of stairs to the main floor with all the great views. 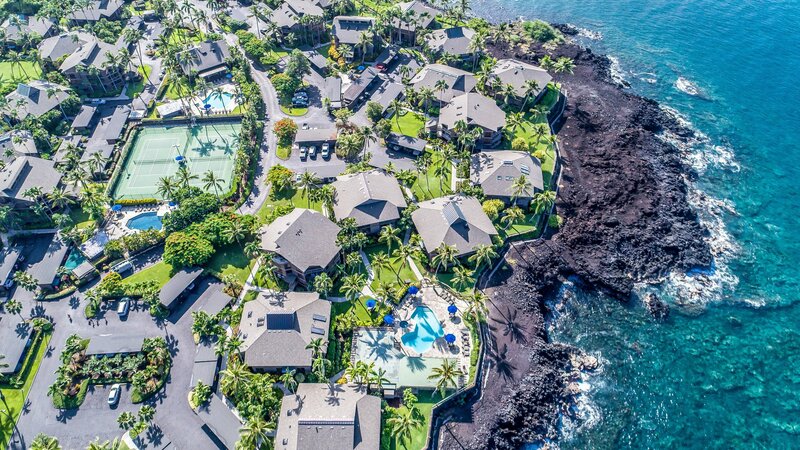 Kanaloa at Kona is an oceanfront vacation resort located in Keauhou. 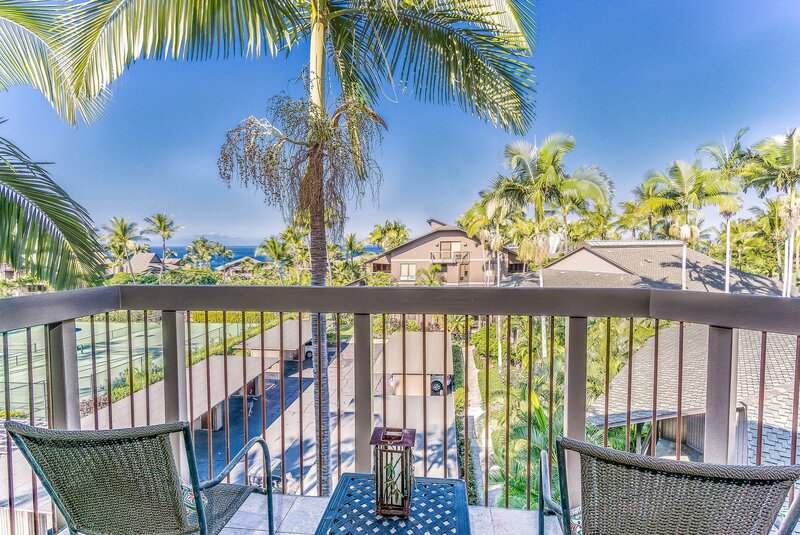 It overlooks beautiful Keauhou Bay on the Big Island of Hawaii. 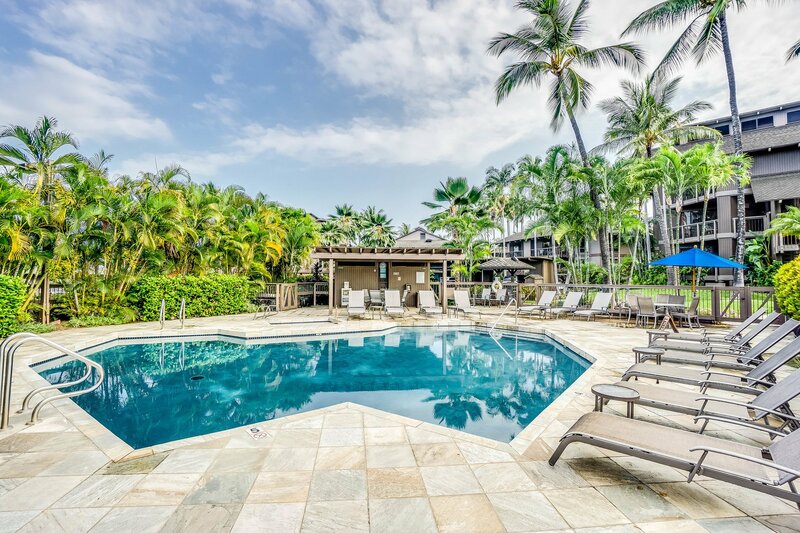 This highly demanded ocean front community features 3 swimming pools for you to enjoy, hot tubs, tennis courts, and BBQs. 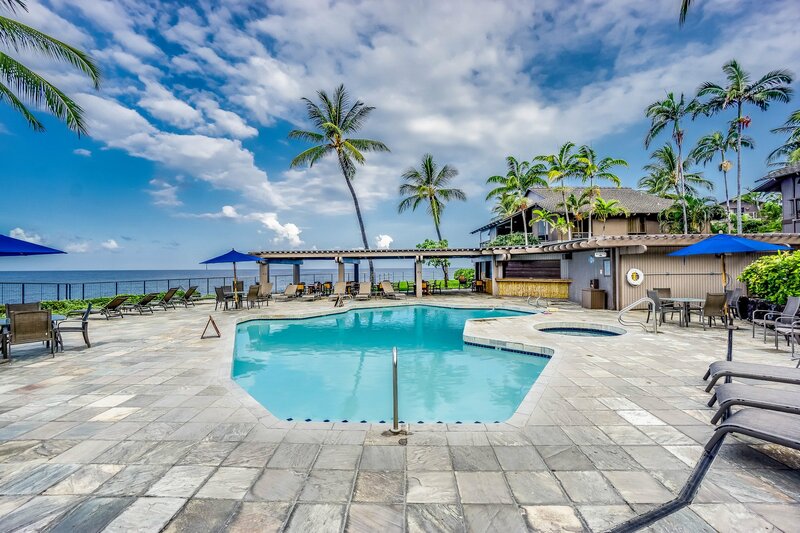 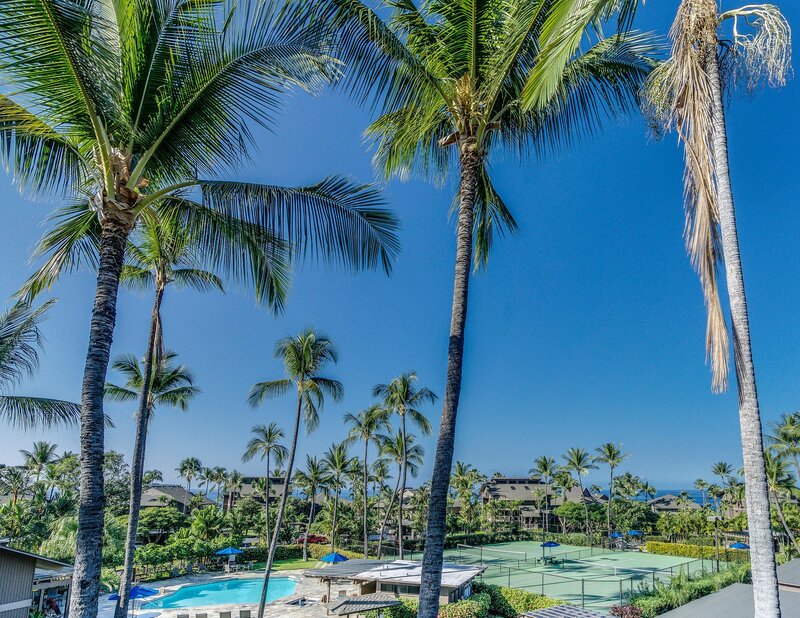 One pool is adult only and another is oceanfront where you can enjoy the spectacular Kona sunsets! 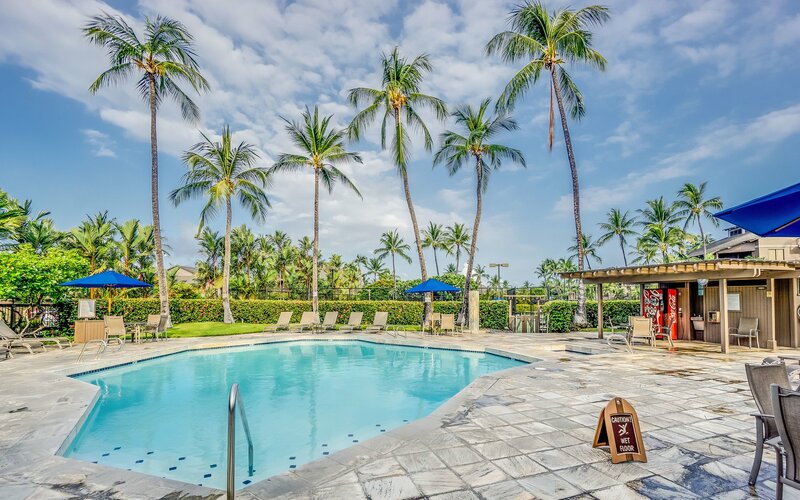 Keauhou Shopping Village is just minutes away.